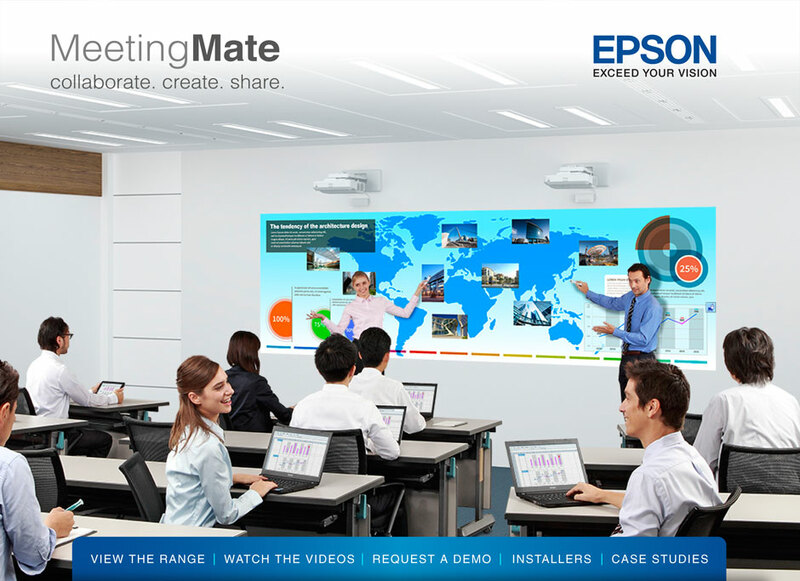 The new finger touch Epson MeetingMate will change meetings forever. Collaborate with your team in multiple locations with this simple to use, interactive projector. 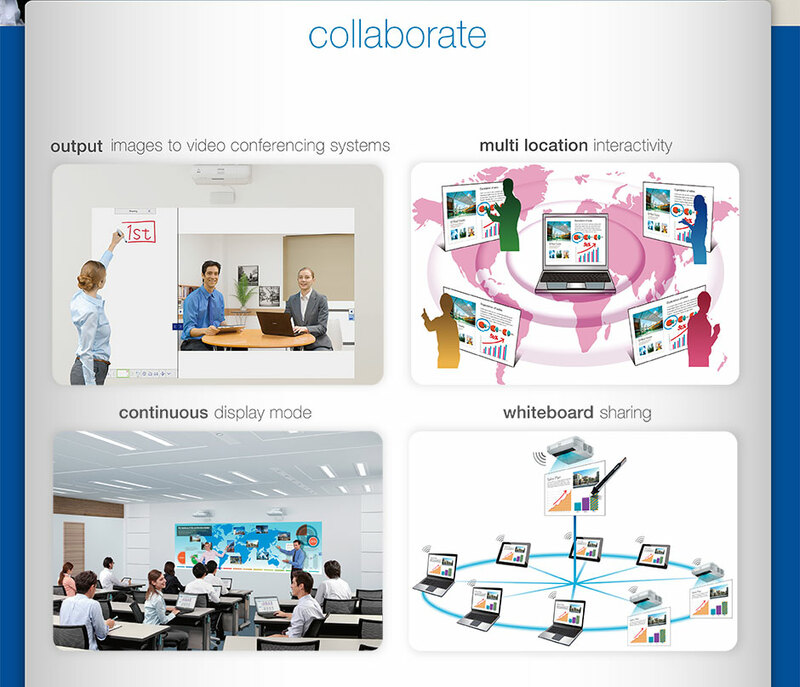 It’s the complete solution for all meeting scenarios including presentations, brainstorming, video conferencing and training sessions. Touch, swipe, scale and erase - with or without an Interactive Pen. 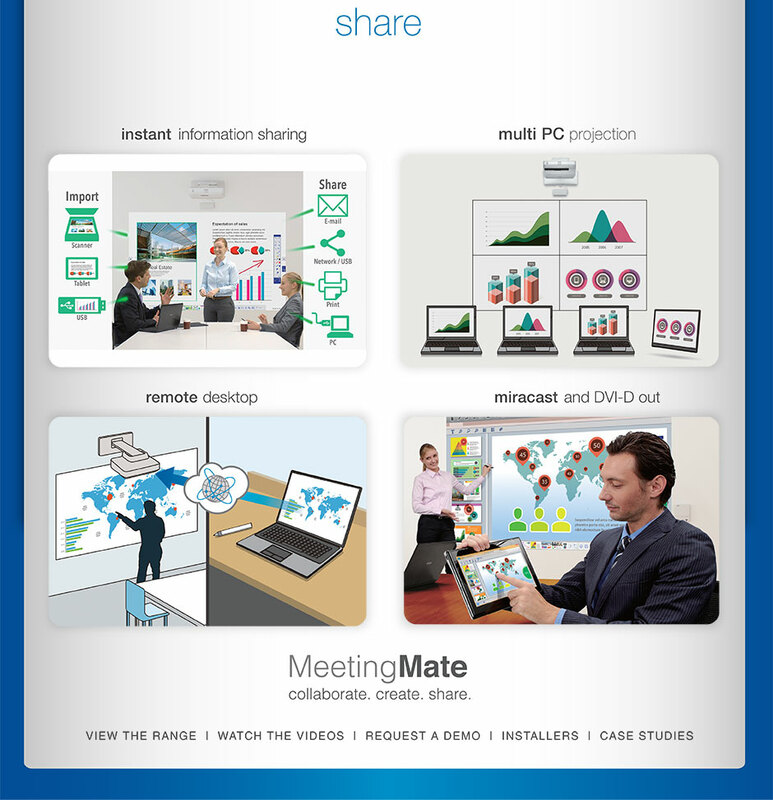 It's all possible with the new fingertouch enabled MeetingMate. 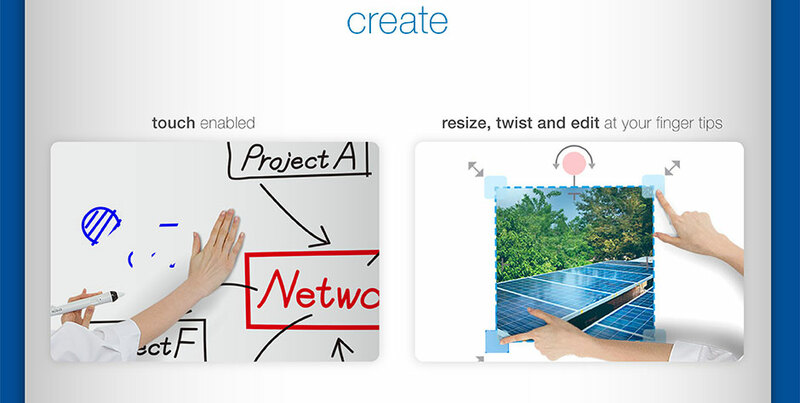 With whiteboard sharing, two people can share the interactive board at once. Plus at the end of the meeting, you can instantly Save your meeting notes on a USB drive, network drive or direct to a mobile device. Print your meeting notes wirelessly to the network printer or Email the meeting notes directly from the Whiteboard.